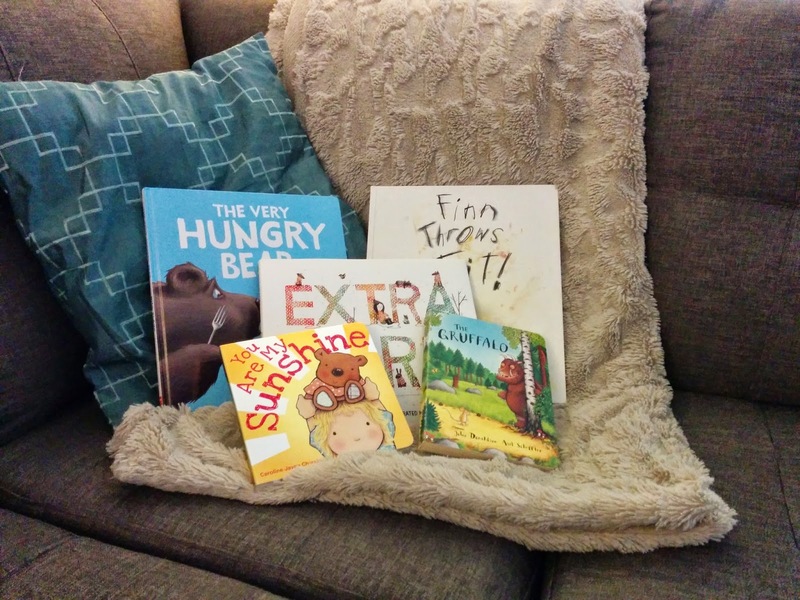 · Read aloud to your infant from whichever book you are currently reading. The sound of your voice, the varied vocabulary, and the visual appearance of you reading a book will do wonders for encouraging literacy all through life, even if it's not a children's book. × Choose board books for babies that are illustrated versions of songs or nursery rhymes you are already familiar with. It may feel less odd to sing a song or recite a rhyme than it feels to read a story to your very little one. · Take your baby to the library for baby time a few times a week. These programs are specifically tailored for babies 0-18 months, and incorporate songs, stories, and movement based on child development research. Let the librarian make a fool of herself while your baby reaps all the benefits! · Make up stories while you go on a walk or make up a song while you are preparing a bottle. The language benefits associated with storytelling are immense. If you don’t feel comfortable sitting down with your infant and a book (since they can’t focus like a toddler or older child) you can still talk to them constantly during the day. Before you go out, throw a few board books into your diaper bag. They’re an easy go-to distraction for grocery store line-ups or a nice post-picnic activity to enjoy together in the shade. Send us an e-mail if you’d like a recommendation for a great book to engage your child.